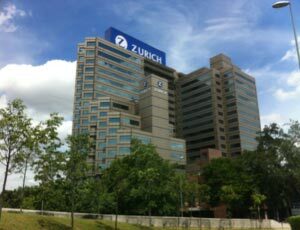 Formerly known as Menara MAA, Menara Zurich is located along Jalan Dewan Bahasa and is home to the Swiss insurance giant, Zurich Group. The building features an auditorium, meeting rooms and conference facilities available for rent exclusively for the tenants of the building. There is ample parking available with over 500 car park bays within the building. Additionally there is an open air car park located next door. The building has 24 hour manned security, card access systems and CCTV's in place.